The most wonderful time of the year is here, and if you have not already decorated your home chances are that you are in the progress of doing so. Putting up your Christmas tree is always main priority, but accessorizing your home for Christmas is just as important. My favourite thing to accessorize for the holidays are bookshelves. 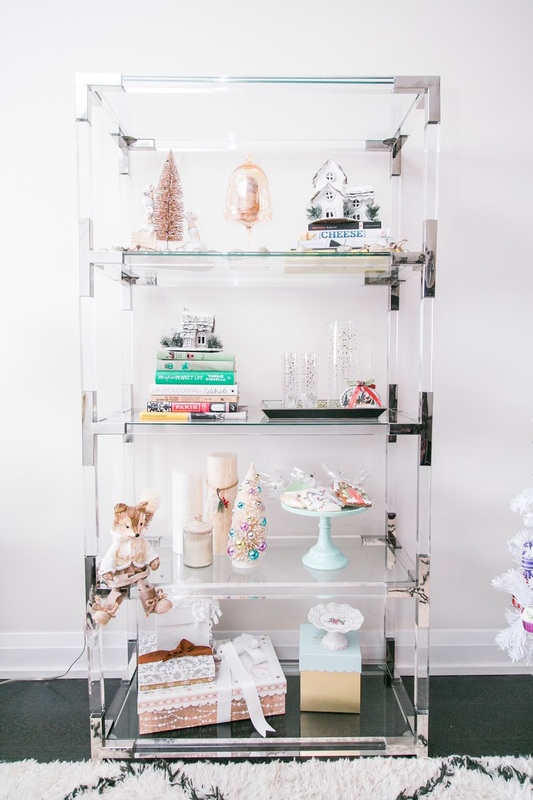 We actually just picked up this gorgeous lucite and chrome bookshelf from HomeSense, and I am so excited to share with you how I decorated it for Christmas. 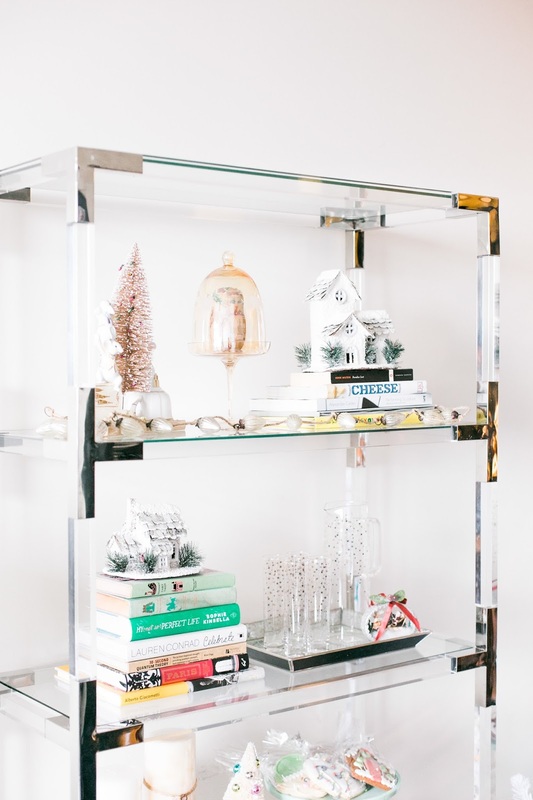 Accessorizing your shelfie for Christmas is a lot easier than you think, and making it practical is the only way to go when you live in a small condo apartment like I do. 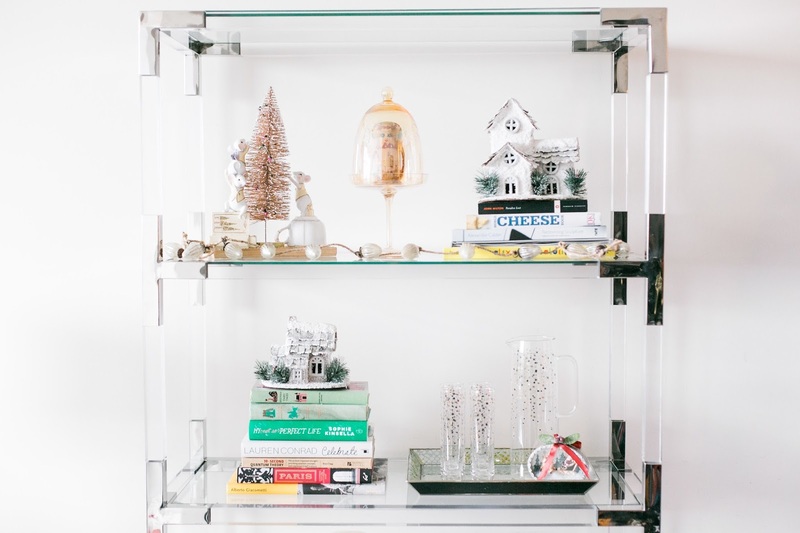 Below are 5 easy steps to help you accessorize your bookshelf for the holidays. To narrow down your decor options and to limit the number of decorations you need to purchase come up with a theme. Think of a colour scheme you like, favourite accessories, and textures. My theme for decorating our bookshelf was pretty basic: Neutral tones with gold accents and various textures with a touch of vintage. We opted for a white Christmas tree this year, so I wanted to keep everything neutral to match the Christmas tree and of course the acrylic bookshelf. Choose a focal piece for your bookshelf that will help you carry out your theme. 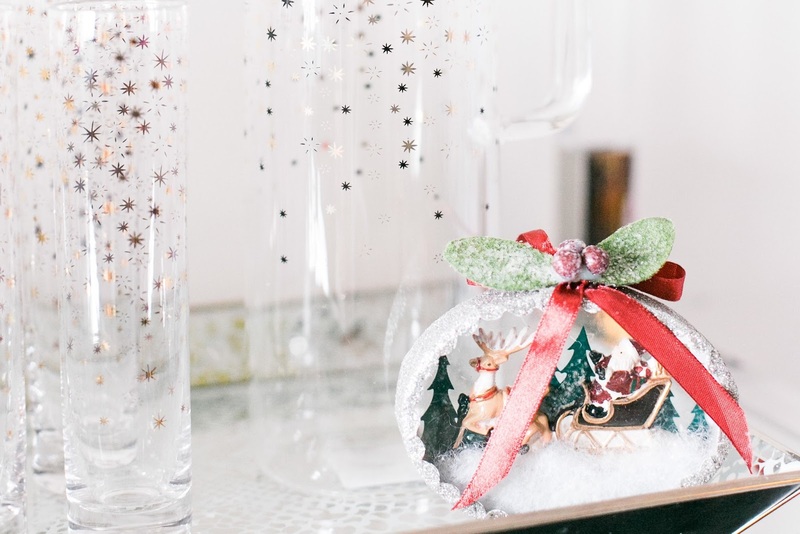 Although I do not have a focal piece for my shelf, my inspiration for building my theme was the Vintage Christmas tree with the colourful ornaments on it. 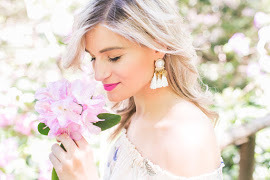 I loved the texture of it and its pastel tones, and the vintage feel of it was just perfect. I find it really helpful to have a focal piece when you are trying to figure out your theme so that you can build around it easily with accessories that are within the same spectrum. Whether it is accessories with similar colour tones or textures. 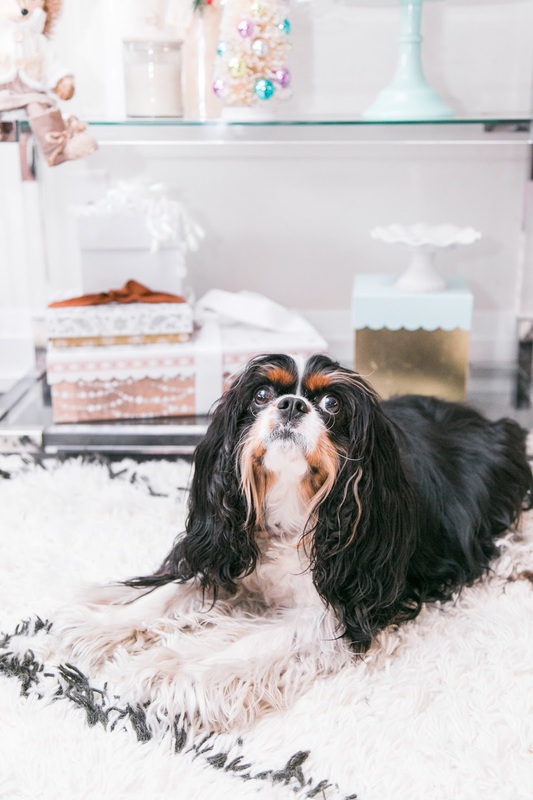 When you live in a small condo apartment, removing everything from your bookshelves to make room for all your holiday accessories is just not feasible. Especially when your storage is limited. 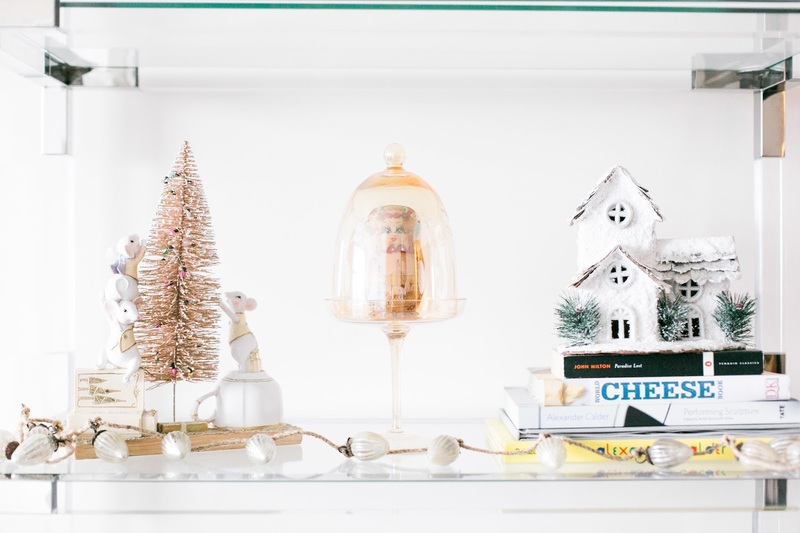 My best advice is to incorporate items that are already on your shelves to your theme. The items that I incorporated into our holiday bookshelf decor were our books,the gift boxes and the serving tray with the flutes and water jug. We did have more books on our shelves, but to make the shelf more inviting for the season, I only kept books that matched the colour scheme of my vision. I then swapped our regular boxes with Christmas boxes so that I can store items in them. 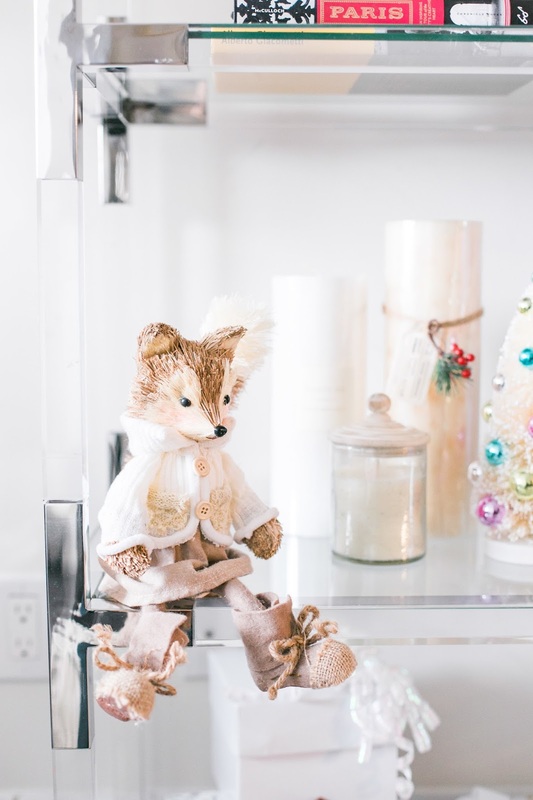 Knick knacks add so much character to your shelves especially when it comes to decorating them for the holidays. You want to bring your own character to your bookshelf instead of just having generic holiday accessories. 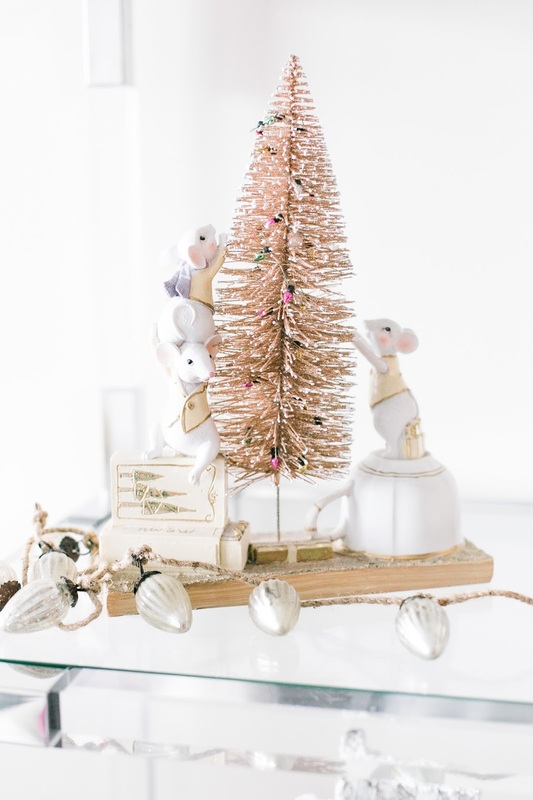 The cute knick knacks I added as accents were the cute wood squirrel, the gold Christmas tree with the mice, and the little glass ornament. 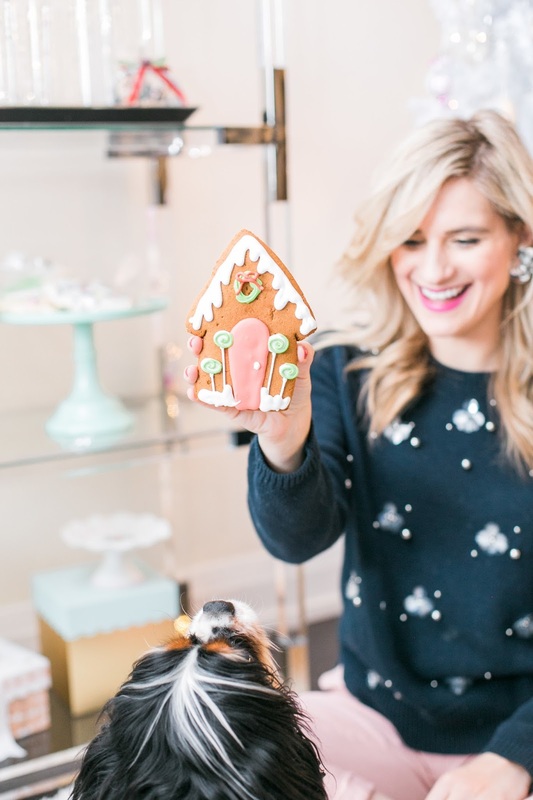 One of my favourite things to add on the shelves when decorating for the holidays is gingerbread cookies for our guests. I picked up the cutest gingerbread cookies from Mad Batter Bakers and I placed them on a cake stand so that our guests can grab them anytime they wish. Extra tip: Try not to overcrowd your shelves even when you have limited space. If you do, the key is to place each item on the shelves strategically depending on the size of each accessory.